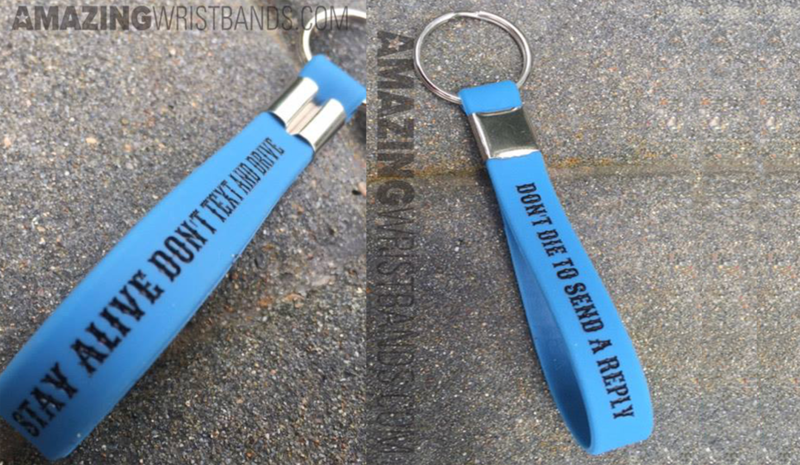 What else goes best to remind about safety other than a custom designed silicone keychain with an awareness message. According to the CDC, the #1 cause of childhood deaths is preventable accidents. That’s more than the next three causes. Nearly 8000 children die each year from accidents that could have been prevented, often in their homes. Accident prevention bracelets can help educate parents on safety issues that could protect their kids. The topic of accident prevention has been the center of attention lately in the wake of the Nationwide Insurance ad that aired during the Superbowl. A young boy narrates the ad, talking about the many thing he won’t be able to do because he, in the ad, dies from an accident. The ad shocked many who thought its content was over-the-top, or simply not appropriate for the Superbowl. You can watch the ad here. Regardless of your opinion of the ad, representatives from Nationwide have said they simply wanted to start a conversation about accident prevention. Mission accomplished. More of a PSA than an ad for insurance, Nationwide uses the prime time TV spot to promote their Make Safe Happen safety campaign. Many other organizations and communities try to get the word out about home safety through a variety of events. If you’re hosting an event where you live, consider accident prevention wristbands. Messages such as Nationwide’s “Make Safe Happen,” “Play it Safe,” “Keeping Kids Safe,” or “Safety First in Georgetown” can help remind people of important safety tips. For tips on keeping your kids safe, visit MakeSafeHappen.com. Why Buy Accident Prevention Bracelets from Amazing Wristbands? Amazing Wristbands is a leading provider of customized silicone wristbands available online. Our wristbands are comfortable, durable, and non-allergenic, made of 100% silicone. Many of our wristbands can be created with our easy-to-use online wristband design tool. At AmazingWristbands.com, we also offer thicker one-inch bands, thin quarter-inch bands, adjustable bands, USB bands, silicone rings and silicone key chains. At Amazing Wristbands we offer free shipping, free artwork and design, free color matching, and 5-10 day production. Create your personalized wristbands with our online tool.